Apple’s PowerBook Duo notebooks were very lightweight and very portable, but they are very limited in connectivity unless you can acquire a Duo Dock. The Duo 201, 230, and 280c can all be overclocked. If other Duos can be overclocked, we have not found reports. Many Macs can be “chipped” to run at a higher speed. These pages provide information on the maximum reliable speed. This may vary from one machine to the next. Chipping is not authorized by Apple. Any modifications you perform on your Mac may damage it. Modifications are done at your own risk. Be sure to visit The Clock Chipping Home Page, the definitive resource on chipping the Mac. The PowerBook Duo 210 has a 50 MHz oscillator that runs the CPU at 25 MHz. The fastest oscillator you can replace it with is 66 MHz to run the processor at 33 MHz. See Machine Specifics, A Miniature Oscillator Clip for the Duo 210, and A Miniature Oscillator Clip for the Duo 210 – Revision 2 for more details. 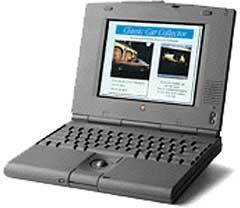 The PowerBook Duo 230 has a 66.667 MHz oscillator that runs the processor at 33 MHz. The maximum oscillator you can replace it with is 80 MHz to run the CPU at 40 MHz. See Machine Specifics for more details. The procedure covered in A Miniature Oscillator Clip for the Duo 210 may apply to the Duo 230 as well. 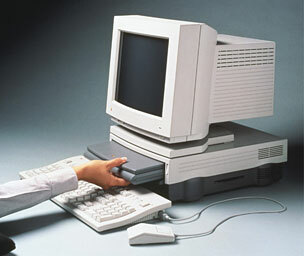 The PowerBook Duo 280c has a 66.667 MHz oscillator that runs the 68030 at 33 MHz. The top speed oscillator you can replace it with is 86 MHz to run the processor at 43 MHz. See Machine Specifics for more details.